Originally from Portugal, Edgar Mosa has followed his artistic pursuits from his home in Lisbon to the Gerrit Rietveld Academy in Amsterdam, to Cranbrook Academy of Art in Michigan, to his current residence in Brooklyn, NY. 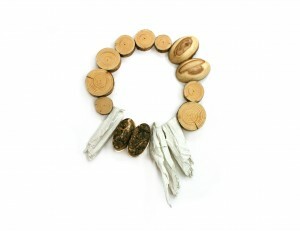 Here Edgar continues his artistic practice by making jewelry and objects and through various collaborations. To see an recent account of Edgar’s current studio practice please read here. Edgar was also recently interviewed by Marina Elenskaya at Current Obsession. Click here to read the interview.